This concept is a tiered present stand. 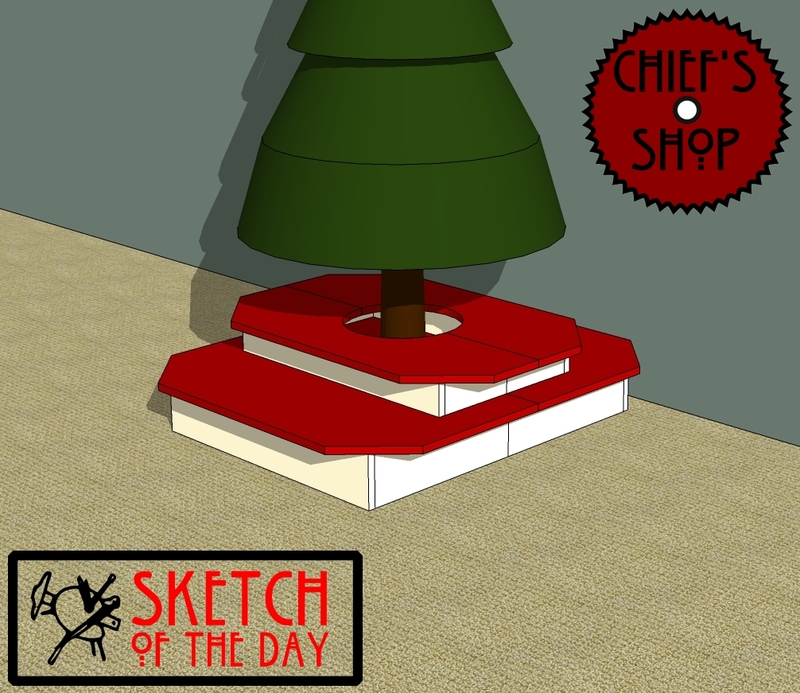 It would be built in sections to be placed around the tree, with room for the stand at the bottom. The opening would allow access for watering a live tree.